Many professional musicians and recording engineers and music lovers still prefer the vacuum tube warm sound. True high fidelity ,remaining crystal clear, yet not harsh reproducing natural music , full-bodied life-like. 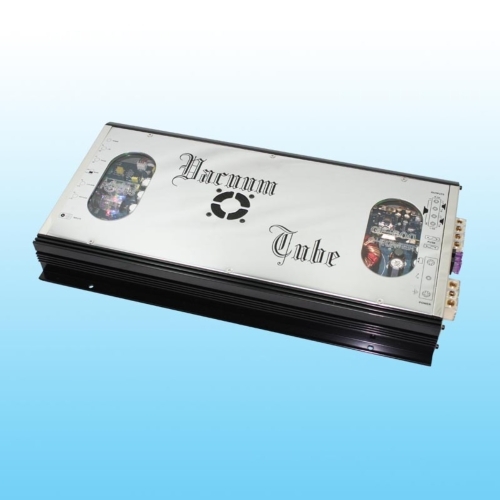 The middle range of vacuum tube is very clear , each instrument has presence , even at very low play back levels. Particularly strong are the second , third, fourth , fifth overtones which gives full-bodied “brassy” quality to the sound. 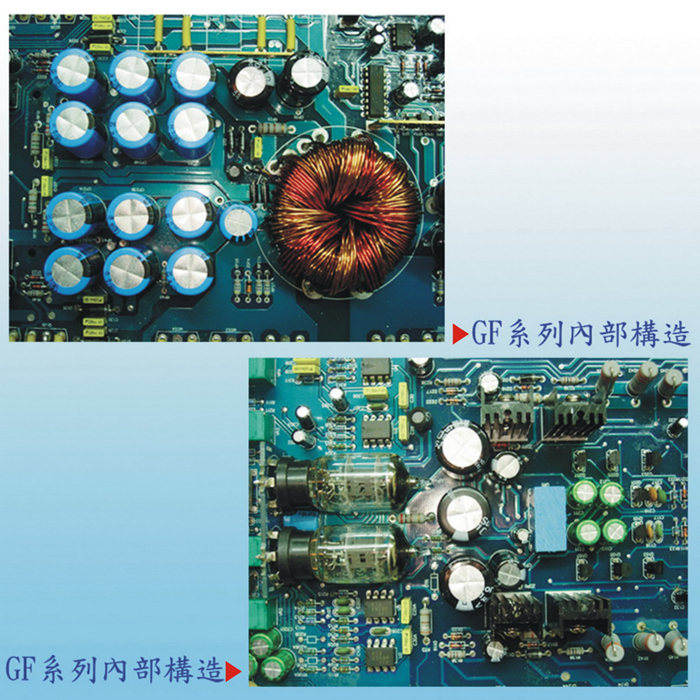 GF-600B is a Class-G high efficient high power amplifier. Class G improves efficiency in another way: an ordinary class AB amplifier is driven by 2-rail power supply. These designs are sometimes called "Rail Switchers". This design improves efficiency by reducing the "wasted" voltage on the output transistors. This voltage is the difference between the positive (red) supply and the audio output (blue). Class G can be as efficient as class D or T. While a class G design is more complex, it is based on a class AB amplifier and can have the same clean characteristics as well.